Never run out of coffee again: join a coffee club! 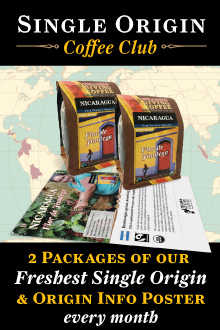 Join one of our coffee club subscriptions, and receive two 12-ounce bags of coffee to your doorstep every month. We will bill your card monthly, and you can cancel or postpone your upcoming coffee club delivery at anytime by giving us a call at 800-648-6491. Want to create your own coffee club subscription? 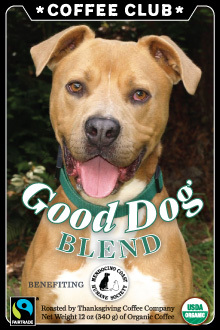 Add any coffee in our store to your order and select Monthly Coffee Subscription. 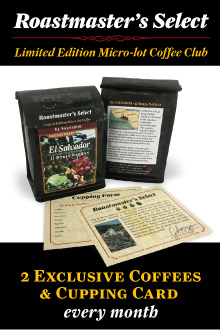 We'll set you up with a monthly subscription to the coffee of your choice. 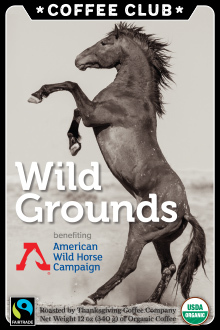 Receive monthly shipments of two bags of Wild Grounds coffee and AWHC will benefit from your continuous support! 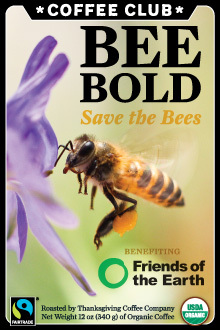 Receive monthly shipments of two bags of BEE BOLD coffee and Friends of the Earth will greatly benefit from your continuous support! 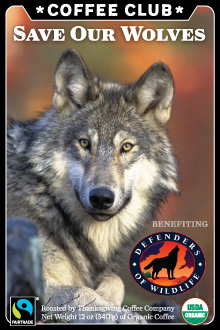 Receive monthly shipments of two bags of Save Our Wolves coffee and Defenders of Wildlife will greatly benefit from your continuous support! 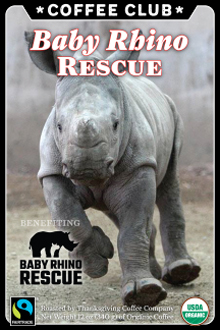 Receive monthly shipments of two bags of Baby Rhino Rescue coffee and the their organization will greatly benefit from your continuous support! 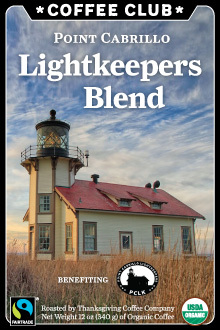 Receive monthly shipments of two bags of Lightkeepers Blend coffee and the Point Cabrillo Lightkeepers Association will greatly benefit from your continuous support! 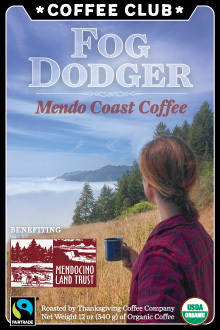 Receive monthly shipments of two bags of Fog Dodger coffee and the Mendocino Land Trust will greatly benefit from your continuous support! 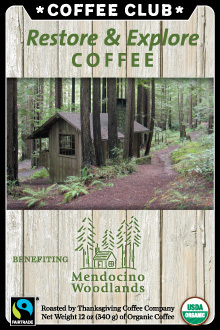 Receive monthly shipments of two bags of Restore & Explore coffee and the Mendocino Woodlands will greatly benefit from your continuous support!